I can remember it like yesterday, sitting along the bank of a creek with my friend Dave drowning worms in pursuit of anything, really. We were young kids at the time, enjoying our freedom, not yet feeling the obligations of a summer job. The dry heat was enough to keep the bugs at bay and my hands were covered in slime from numerous bullhead, carp and small catfish that had been taking our baits on a regular basis. We were fishing in a deep pool of the stream and the bite was pretty good considering it was mid-day. My line began to twitch and I could tell something was worrying with my bait. It wasn’t the tug of a catfish or the subtle take of a carp though, this bite seemed different. Chubs I thought, as I focused intently on the rod tip. After a moment I decided to reel in, assuming that my bait had been picked clean. To my surprise the rod doubled over and I was immediately doing battle with a sizeable fish. It had the colors of a carp but was skinny and all of its fins were flame red. The fish fought hard and even jumped once before finally making it into my hand and when I hoisted the two pound fish from the water Dave immediately says, “What the heck is that”? I looked at it for a second and declared that it was a sucker of some sort but I had no idea. Once at home I poured through one of dad’s fish ID books and discovered that it was a Shorthead redhorse. I was amazed to learn that there were other species of redhorse also native to Iowa such as the Silver, Golden, Black and River redhorse, some of them being quite common in the rivers and streams throughout the state. This first redhorse would spark an admiration of mine to the species. 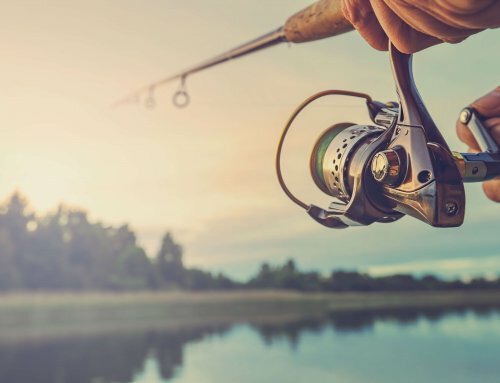 I came to find that most anglers consider them “trash” fish arguably based upon their supposed lack as quality table fare and their nature of stealing baits. 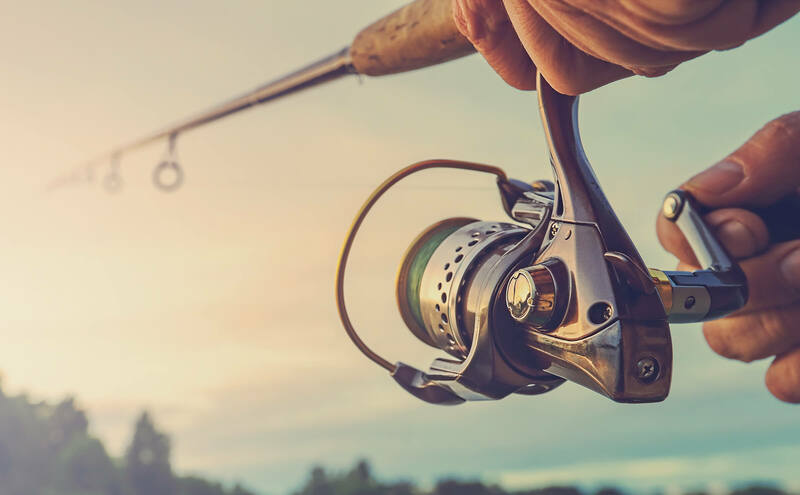 The popularity with anglers most often revolves around the fact that redhorse make excellent live bait for flatheads and excellent cutbait for channel cats. In my opinion, I do not consider redhorse to be a trash fish. I can usually bank on them to bite at the river when nothing else is, and to be quite honest, their white flaky meat is delicious when prepared correctly. They are scrappy fighters on light tackle and their abundance in rivers makes them an easy, fun target for those looking to spend an afternoon wetting a line. Before I dive into the techniques and table qualities of redhorse, I would like to touch base on the different species present and their relative distribution within the state. Most people just think a sucker is a sucker but in fact there are many different species, each with their own characteristics that set them apart. It has been my quest to catch each of the five species of native Iowa redhorse but the Black redhorse and the River redhorse have evaded me to this day. The most common and widely distributed species are the Shorthead, Golden and Silver redhorse, in that order. They occur in many of the major interior river systems in Iowa along with many tributaries of these rivers. The Mississippi and Missouri also boast populations of each three species. Less common is the River redhorse which occurs in the Upper Cedar, Iowa and Missouri rivers predominantly. Small populations have also been found in the Des Moines River and Floyd River. The Black redhorse is the least common and is listed as threatened in Iowa. Their populations are scattered and mainly confined to areas of the Mississippi River and some of its tributaries. The Silver and River redhorse are the largest of the Iowa species often topping weights of five pounds or more. Anybody, and I mean anybody can catch redhorse if they focus their efforts in the right locations. The rigging is very simple and redhorse are often willing biters especially on worms. A look at their morphology and one will immediately see that redhorse are designed to feed on the bottom, and this is exactly where you target them most of the time. They root around in sand, gravel and rock consuming a host of benthic organisms as well as algae and detritus. Redhorse in Iowa spawn in the spring, typically at night, when the water temperature reaches roughly 50° F. They make large runs upstream during these times and amass over gravel bars, sand flats and along current breaks. Once their spawning mission is complete it is time to target them with rod and reel. In smaller streams, they may retreat back to their larger home waters but in rivers and large streams, redhorse can often be found throughout the summer in close proximity to where they spawned. Redhorse are active fish and tolerate higher current than many species and they often feed at the lower edges of riffles where gravel and rocks trap food. Shortheads are notorious current lovers and their red fins can often be seen in clear streams right amongst the rapids as they nose their way around in search of food. Silver redhorse favor deeper pools and smooth current areas out of the teeth of the main current. Goldens, Rivers and Black redhorse generally favor habitat in-between these two extremes. I often target redhorse along current breaks near the bank which is actually considered the secondary channel. Here, the water is slower moving and allows food items to settle out and collect along with giving the fish a place to rest and feed without expending too much energy holding in the current. Pools and eddies are also great spots to try. Redhorse are fairly mobile, moving about in their quest for food and will often cover a good distance throughout the day as they move from current to eddy to pool to run etc… The best places to look for actively feeding redhorse are areas where sand, gravel and small rock are present on the bottom together along current breaks. Other areas that will hold lots of redhorse are places where a stream enters the river. The fish will position on the downstream side of the sandbar created by the inflowing stream and collect food items washed to them. After spawning, deeper portions of the river where the current is slower will often hold the biggest redhorse. When redhorse reach adult size their threat of being eaten by other predatory fish becomes less and less, thus they can cohabitate with predator species such as walleye, smaller pike and smaller catfish that also find these deeper areas favorable. When it comes to redhorse rigs, the methods are about as simple as it gets. 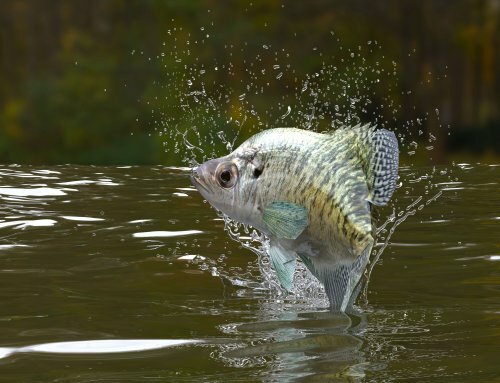 Your main objective is to get the bait down to the fish holding near the bottom. This is simply done with a slip sinker, a bead stop and a hook tied roughly a foot below the bead stop. The sinker should be as light as necessary but heavy enough to hold the bait stationary in the current that is present. The hook should be able to incorporate a small gob of worms and #2 to #4 baitholder hooks are typically sufficient. Another less practiced method for redhorse is the use of a drift float. Not all of the fish will be feeding on the bottom and redhorse will in fact rise up into the water column to grab a passing food item. The drift method is quite simple: suspend a #2 or #4 hook and a split shot below a slip bobber and adjust the float so that the bait hangs roughly six inches off of the bottom. Cast out and drift the rig around cover, over gravel bars and through deeper pools. 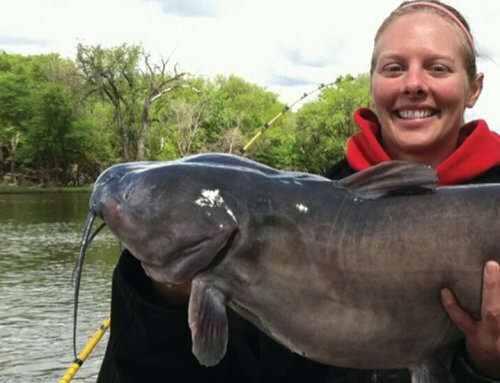 This is also a great method for catching walleye, smallmouth and channel cats as well as carp. Tip the hook with a piece of nightcrawler. It is a common misconception that redhorse make poor table fare, in fact, the exact opposite is true. When prepared correctly, their white flaky meat almost has a sweet taste and is quite delicious. 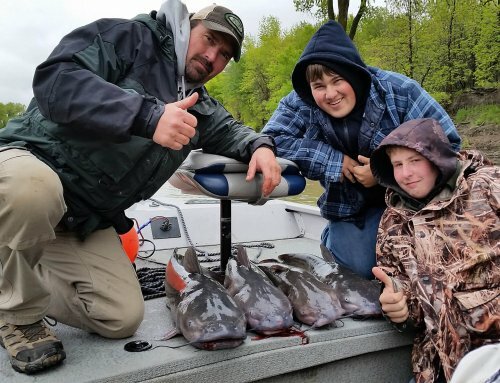 A different approach to preparing the meat should be taken however in contrast to preparing species such as crappie, walleye and other more popular food fish. Redhorse much like carp and buffalo, are very bony fish and this one fact alone will turn a lot of noses from taking the time to prepare them in the right manner. They cannot simply be filleted like a walleye and deep fried; the bones will remain present in the fillet and provide a rather negative meal experience. Instead, redhorse should be prepared with the intent of cooking the bones out or simply removing the meat from the bones once cooked to be used in various recipes. Below are a few simple recipes to make the most of your redhorse eating experience and enjoy them properly. To prepare the redhorse, scale them and fillet them just as you would a walleye or bluegill but leave the scaleless skin on. Rinse fillets under cold water to remove any leftover scales or unwanted material and set aside. Before smoking, you must create a brine to soak the fillets in. Below are the ingredients for the brine. Stir these together in a large bowl until the sugar and salt is completely dissolved. Place fish fillets into the solution making sure that they are completely covered with the brine and place in the refrigerator for 8-12 hours. After the allotted soaking time, remove the fillets from the brine and rinse under cold water. Gently pat the fillets dry with a paper towel and lay them skin side down on a clean paper towel to air dry for one hour. After roughly an hour you will notice the fish has a slight glazed film on it. This is referred to as the pellicle and is the desired result from the brining process. When the fillets become sticky to the touch, they are ready for the smoker. Stoke your smoker with Hickory, Apple or Cherry wood and keep temps roughly 200-225 degrees. Place the redhorse fillets in the smoker and smoke for 2-2 ½ hours. You can add wood chips about every half hour depending on how much smoky flavor you desire. In a medium bowl or container add the crumbled smoked redhorse and milk. Cover and place in the fridge for 1-2 hours. Remove from fridge and add the remaining ingredients and mix thoroughly. Cover again and place back into the fridge for at least 2 hours. Serve this with your favorite crackers! 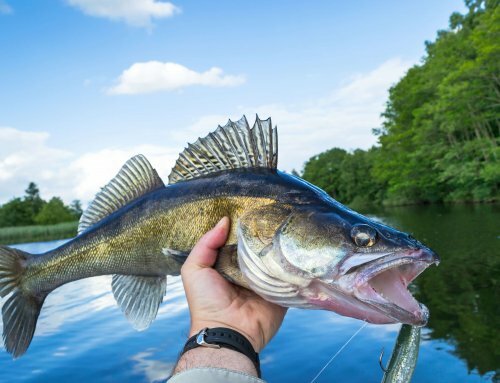 If you simply fillet and skin the fish just like a walleye and deep fry the fillet, the end results will be rather unsatisfying as many of the small bones in the fillet will remain uncooked. To do this right, scale the redhorse removing all of the scales from the sides where the fillets are. Then fillet them just as a walleye or crappie but make sure to leave the scaleless skin on them. Lay the fillets down skin side up and begin to score them vertically, starting at one end and making cuts roughly 2/3 deep in the fillets every ¼ inch to ½ inch. Rinse with cold water to remove any remaining scales or unwanted material. In a large bowl soak fillets for 30 minutes in milk. Remove fillets, letting excess milk drain off and roll them in your favorite fish batter mix. In a deep fryer or skillet, heat oil to 350-375 degrees. Slowly drop fish into oil and cook until they reach a deep golden brown color. The scoring should allow the oil to cook the bones which will be crunchy and edible. Still, eat slowly in case any bones have not been fully cooked.